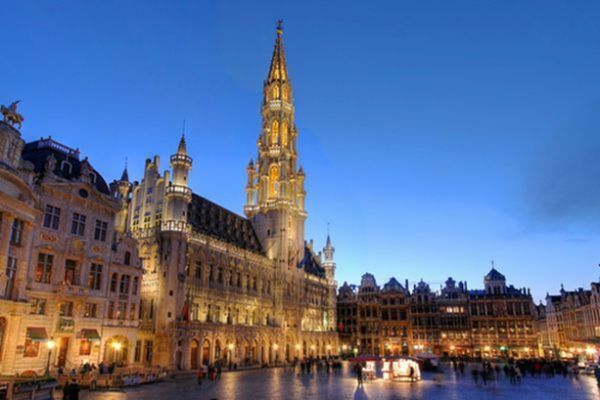 Brussels is the capital city of Belgium and yet much of its treasures remain hidden, waiting to be discovered. Travelers too often stop through Brussels on their way to France without taking the time to explore the streets of this historic, offbeat, enlightening, and exciting place. Brussels blends the old and the new in various art forms, it combines flavors from across Europe and even redesigns some American favorites, and it encourages the public to interact with its past and present. Not many places make the visitor a priority in this way. It certainly is one of Europe’s best-kept travel secrets. It is assumed that Brussels sprouts originated from Brussels in Belgium. Even though they are popular here, it is not to say that this is the only thing that Brussels is known for. Because of Belgium’s close proximity to France, Germany, and the Netherlands, its neighbours influence its cuisine. Belgium is most famous for its waffles, chocolate, and beer. These three are a must-have while in Brussels, but eat your Brussels sprouts first! Additional to this, Brussels specializes in mussels and a type of French fry called frites. The City Museum on La Grand Place, the Atomium and Manneken-Pis are three things that showcase the place’s history quite concisely and in an entertaining, off-beat manner. Manneken-Pis translates to “little man pee” and is a statue that dates back to 1618. Countries from around the world send costumes with which to dress this naked little statue. The Atomium was named Europe’s most bizarre building by CNN, but more importantly, it offers a beautiful panoramic view of Brussels in its top sphere. The Museum of the City of Brussels is dedicated to its history and folklore with a variety of multimedia art and representations of the past and cultural background. Belgium is split between French and Flemish speakers. From when it was established in 1830, Brussels was almost a completely Dutch-speaking country, but now it is more French. Its Dutch origins are still very much present today. Be sure to brush up on some French, Flemish, and Belgian! Like many European countries, art is very popular in Belgium. Brussels is especially well known for the Belgian surrealist, Rene Magritte. Brussels is home to over 80 museums, which includes the Museum of Modern Art. Brussels offers the perfect combination of contemporary, modern, and traditional artworks illustrating both an understanding of present times and an appreciation for the past. People in Brussels are football fanatics. The extent of their dedication to the sport is made obvious when looking at the King Baudouin Stadium, which is the biggest stadium in Belgium. Not only soccer takes place here; rugby, tennis, and cycling, amongst other sports, have used these grounds. Even musicians, such as U2, the Rolling Stones, Bon Jovi, Bruce Springsteen, and Madonna, have performed to crowds in these stands. Rather than just using Brussels as a stopover point from one place to another, make it your destination. Belgium is known for its food and art. Its capital city, Brussels, is no different. Explore the art, history, sport, language and culture of Europe’s great travel secret.